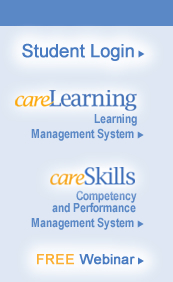 careLearning is a non-profit organization operated by more than 40 state hospital associations. They recognize that in today's ever-changing marketplace, ensuring that your employees are up-to-date on the latest training can feel like trying to hit a moving target. careLearning can help you stay ahead of the game with unmatched customer service and top-of-the-line Learning Management Systems and Programs that are perfectly suited for your organizational needs. careLearning is committed to making your healthcare facility more successful in educating and developing your employees to ultimately assist in better patient outcomes. To assist you further, we are now offering HCAHPS® Surveys.